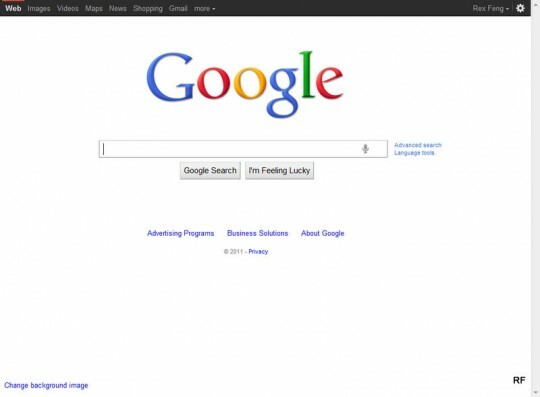 Is Google is ready to leave the familiar comfort of white backgrounds? 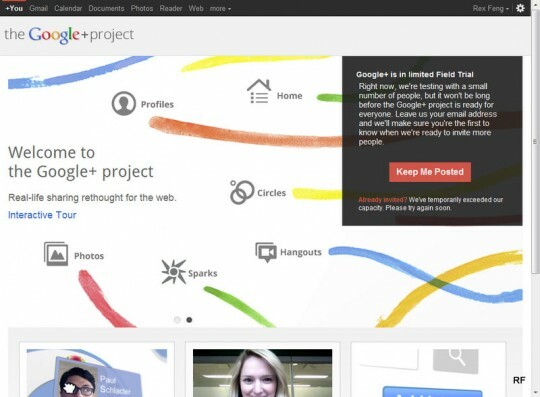 This new Google homepage is part of their Google+ push. Notice the black bar at the top. The black bar even invaded my Reader. 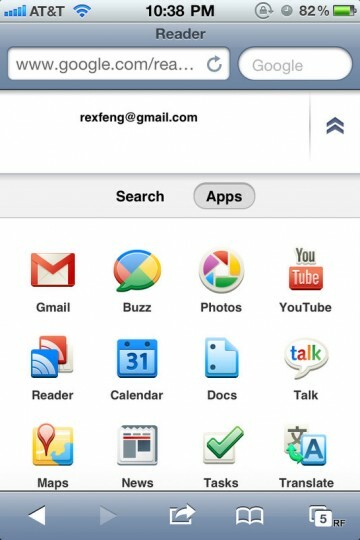 An Appbar has even taken over their mobile web app. This Apps Section shows when you press “more” on the screen above. 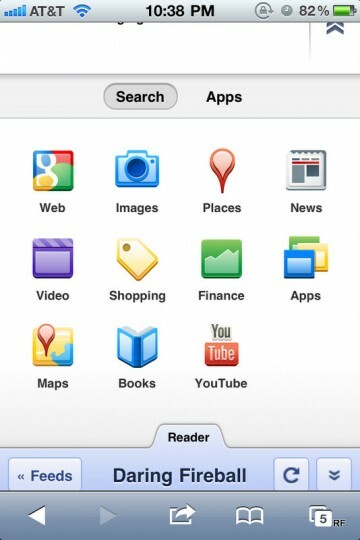 Oddly, Apps (and not Search) is the default choice. This is what pressing “Search” reveals. This screen shows you what the bottom of the Appbar looks like. 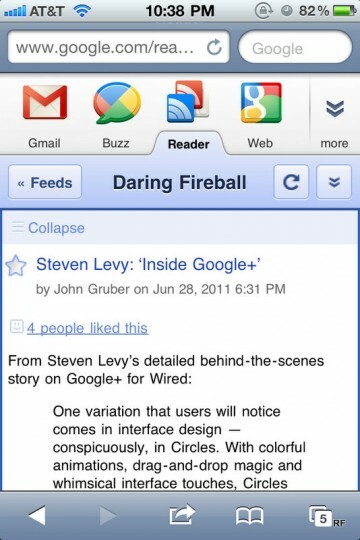 Just in case you forgot you were in the Reader mobile web app. This is what it looks like when you go to the site uninvited. You can request an invite by clicking on “Keep Me Posted”. Notice “+You” now appears at the top left of the black bar. This form appears after clicking “Keep Me Posted”. A strange gaffe here. I have to enter my name and e-mail? If you look at the prior screen, I’m logged into Google Accounts, but here they ask for my info again. 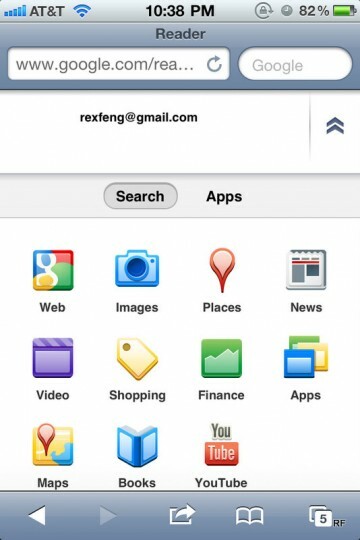 Google Maps (when it finally recognized your Google Account) was the best thing ever. No longer did you have to fill out both the “From” and “To” fields to e-mail map directions. As it currently does, the “From” is pre-populated with your Google Account e-mail address. Recognizing your Google Account after you click “Keep Me Posted” is what Google+ should do. 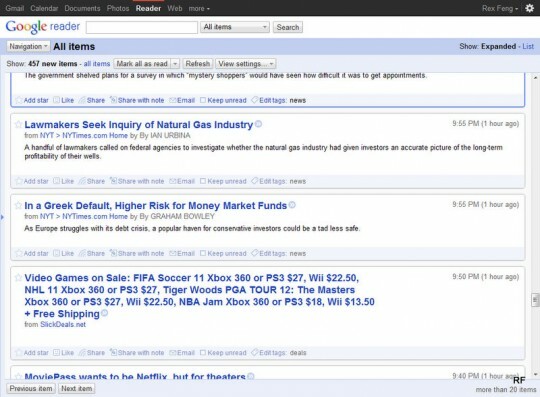 This entry was posted in Tech and tagged design, google, google plus, maps, mobile, plus, reader, safari, search, web, web app on June 28, 2011 by Rex. … it turns out that lots and lots of stuff piled onto shelves or stacked in the middle of store aisles can coax a shopper to buy more. This finding surprises me. Before this article, I assumed less clutter + more organization = always better for sales. Apparently, a cleaner look signals higher prices. Does this retail insight hold for web design? Which site would you assume has higher prices based on the design/look? The two websites shown above were picked for their state of web design (and not for the brand/company). 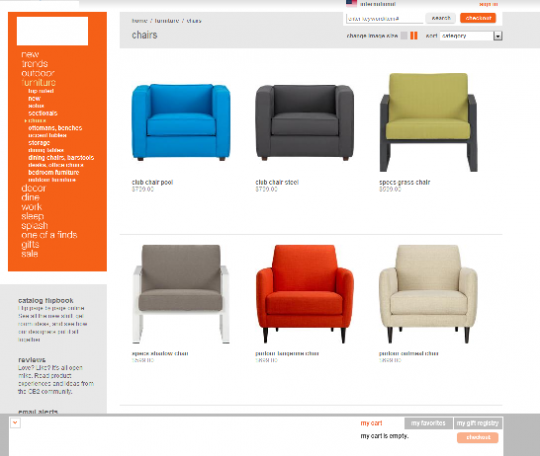 Looking past the world of retail furniture, does a website with clean design signal higher prices to you? 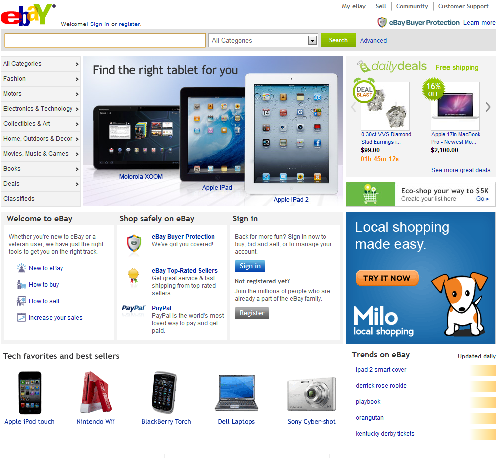 eBay has a relatively modern design (whether it is clutter-free is up for debate). Does the homepage signal high or low prices to you? 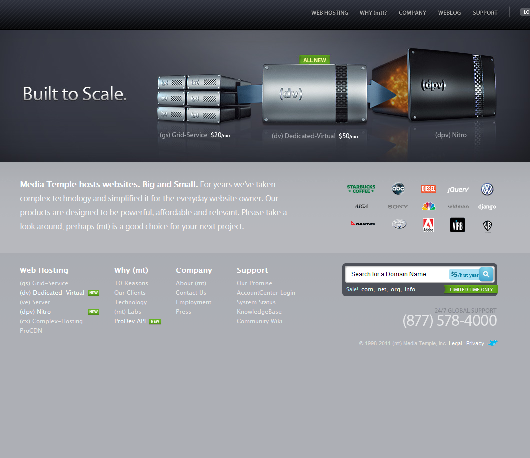 GoDaddy’s design is arguably more cluttered, and their prices are much lower for hosting than mt. In a physical retail environment, clutter signals lower prices to consumers. On the internet, this may or may not hold true. Perhaps websites with cheaper prices skimp on the design bill? 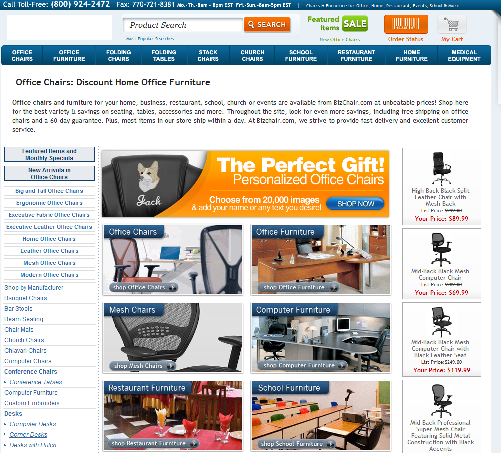 A website can offer affordable/cheap service and have great, clutter free design. As a person interested in great user experiences, I’d like to believe that great design is a competitive advantage and not a trait that subconsciously signals higher prices. This entry was posted in Culture and tagged chairs, clutter, design, dropbox, ebay, furniture, godaddy, mt, nytimes, pricing, retail, sales, signaling, subconscious, web on April 19, 2011 by Rex.